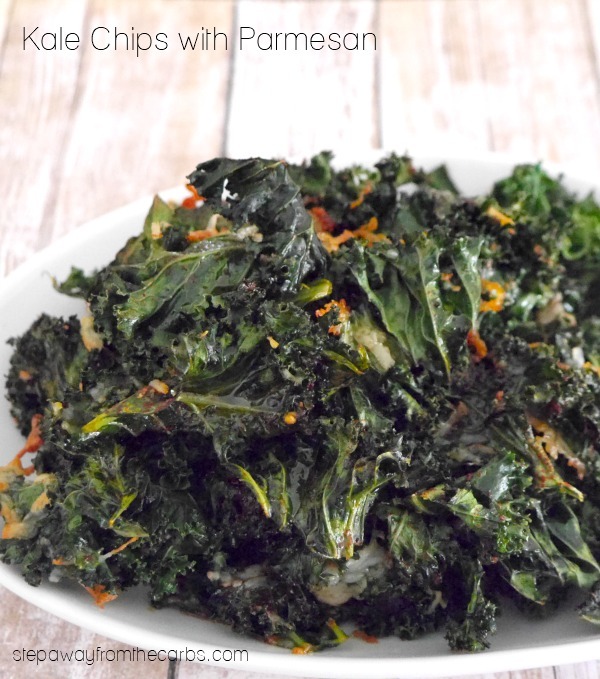 These kale chips are a super tasty snack and are low in carbohydrates! 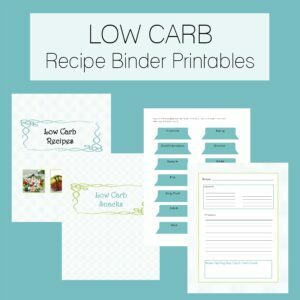 Keto friendly recipe. 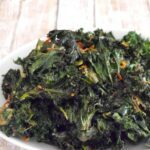 I have often been tempted by pretty bags of kale chips available in grocery stores – because kale is good for you, right? 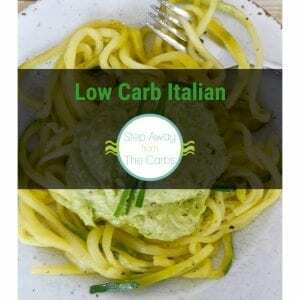 Well it is – but every time I check the nutritional data I find it high in carbs. Why? Because they always add sugar. But kale chips really don’t need sugar – so I decided to make my own! They are SO good! Trim the woody stems from the kale, then cut the remaining kale into small pieces and place into a large bowl. Add olive oil, smoked paprika and a little salt to the bowl and toss to mix. 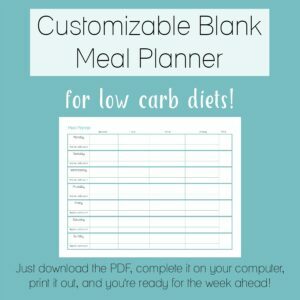 Spread out the seasoned kale onto a baking sheet lined with parchment paper or a silicone mat. Sprinkle shredded Parmesan over the top. 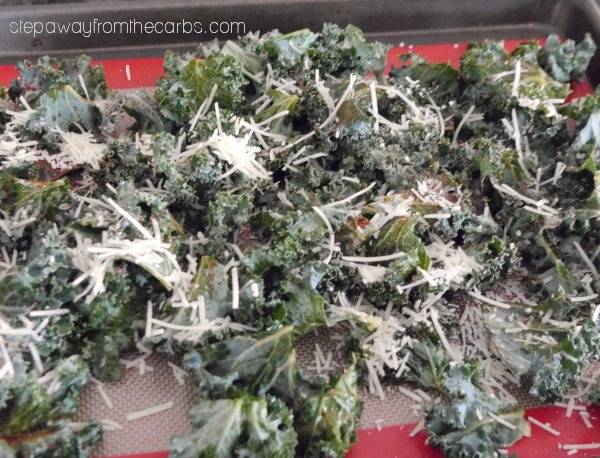 Place in a preheated oven for 6-8 minutes until the edges of the kale are starting to darken and go crispy. Remove from the oven and leave for another 5 minutes to allow it crisp up further. 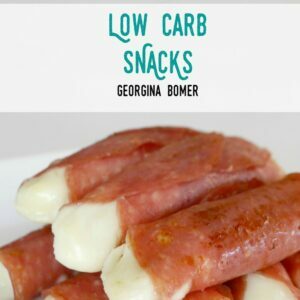 Hi I am going to make these! Can you tell me whether or not they need to be consumed right away? Can I store extras? If so, how? They will stay crunchy for a bit but they will go soft if you leave them too long I’m afraid!